After departing the "Eye on Design" show in Detroit, we headed south down Interstate I-75, leaving Michigan and entering Ohio, on a four hour drive over some rather dire roads as there is a lot of construction going on in Michigan. 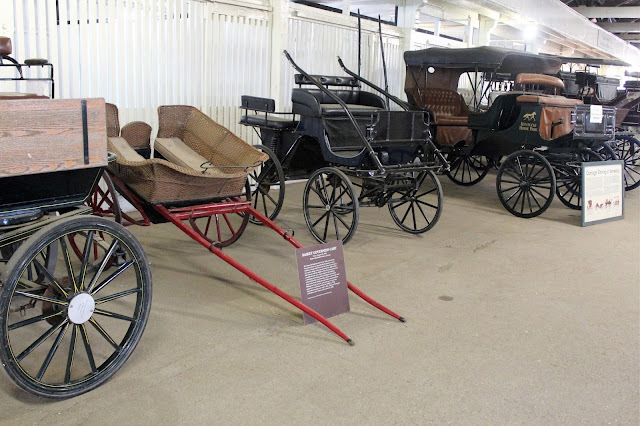 The road is heavily used as it passes through much of America's industrial heartland, including the cities of Lima and Dayton, the latter being an intended future stop for its museums and links to the Wright Brothers. 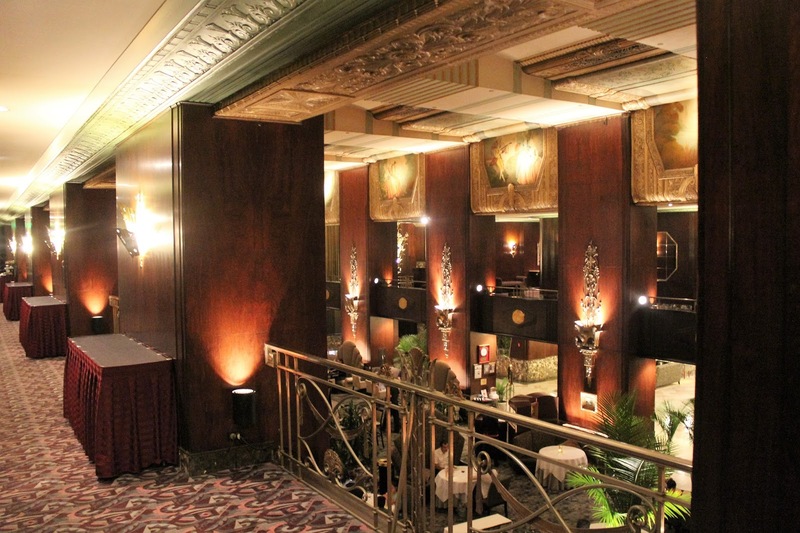 Our goal was the magnificent Netherlands Plaza Hotel in downtown Cincinnati. 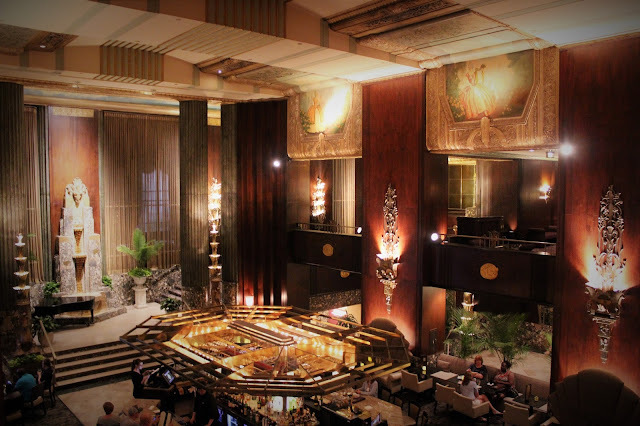 It was opened in 1931 in the mixed-use Carew Tower, which at 49 stories remained the tallest building in the city for decades, and is currently managed by the Hilton chain. It was built in the Art Deco style and was the epitome of luxury when it opened, with its 800 rooms (all with ensuite bathrooms!) 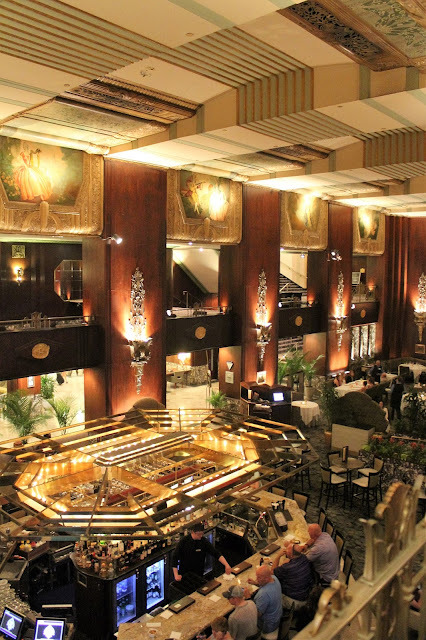 and numerous restaurants. 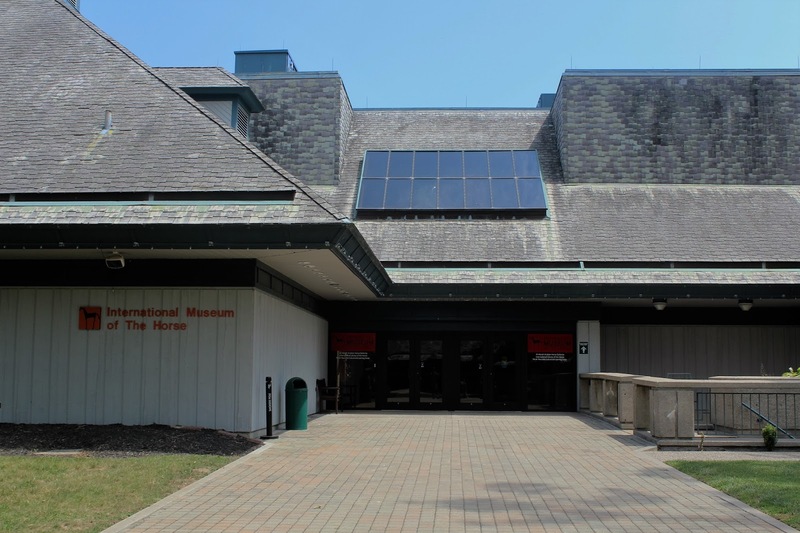 It was closed in the 1980s for a two year long renovation and returned to former glory. 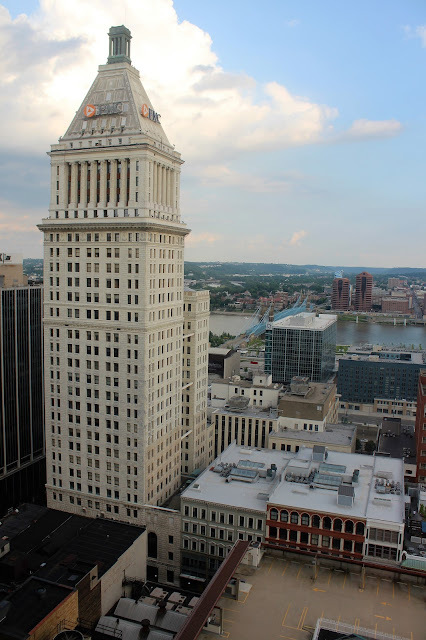 After a friendly greeting from the staff, we were given a nice upgraded room on the 35th floor with a fine view of Cincinnati. After an excellent meal at nearby Fountain Square and the Rock Bottom Restaurant and Brewery, we turned in after a long and rewarding day. The next morning we departed Cincinnati on I-75 and crossed the Ohio River, taking us immediately into Kentucky, for an hour's drive to the Kentucky Horse Park, just north of Lexington. 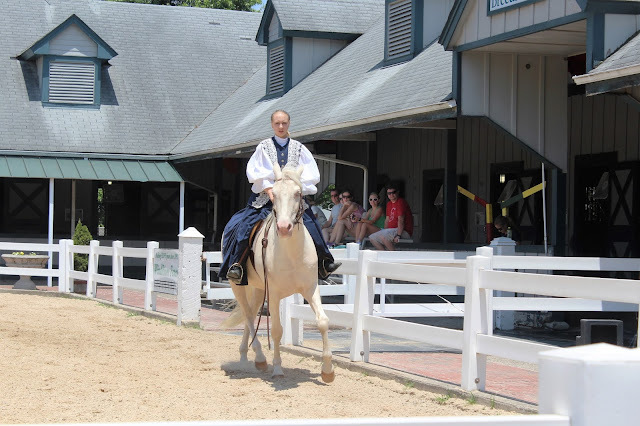 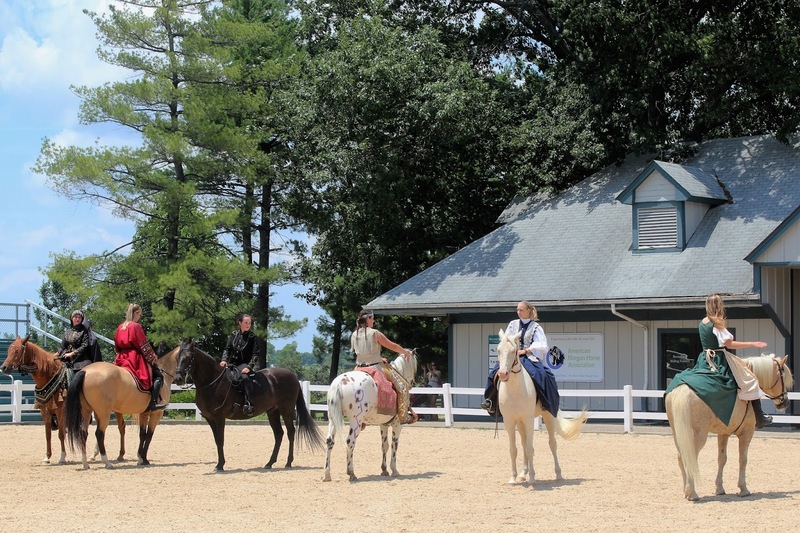 Opened in 1978, the park is a 1,200 acre working horse farm with educational facilities. 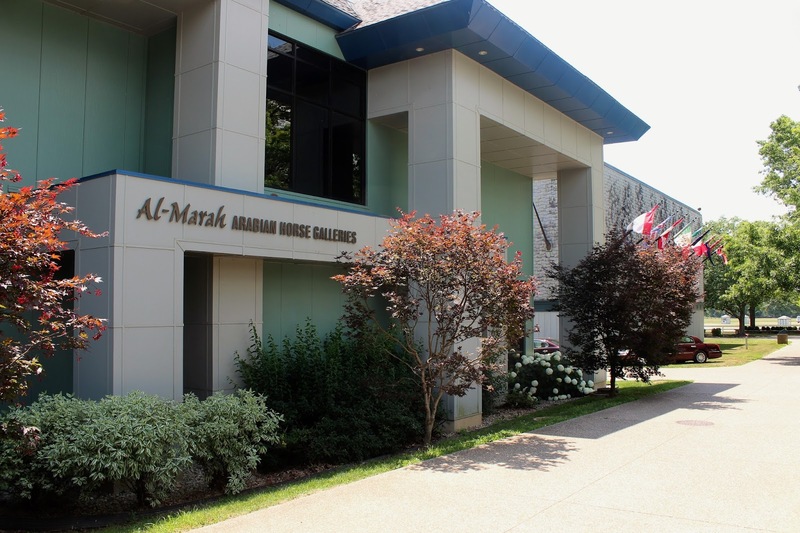 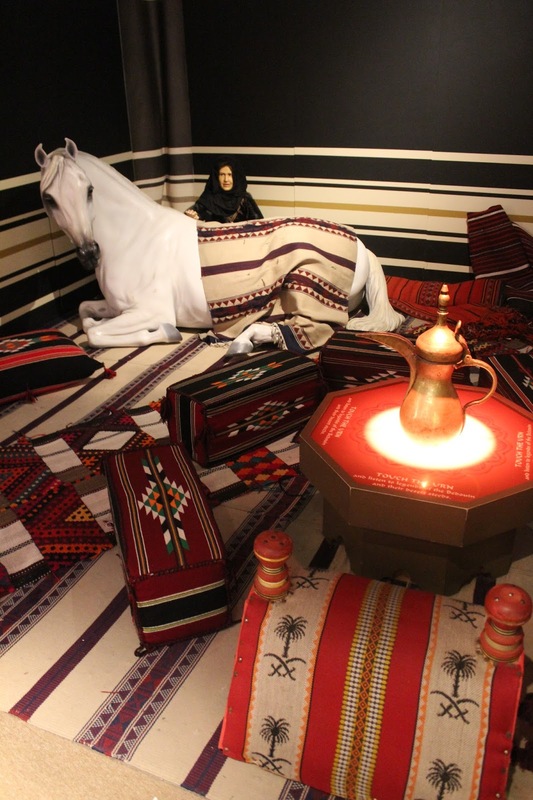 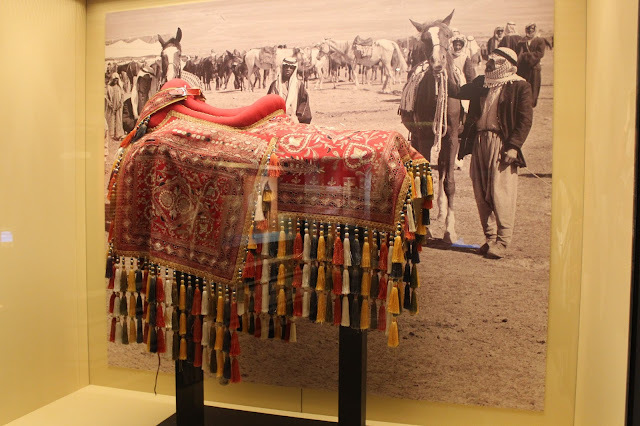 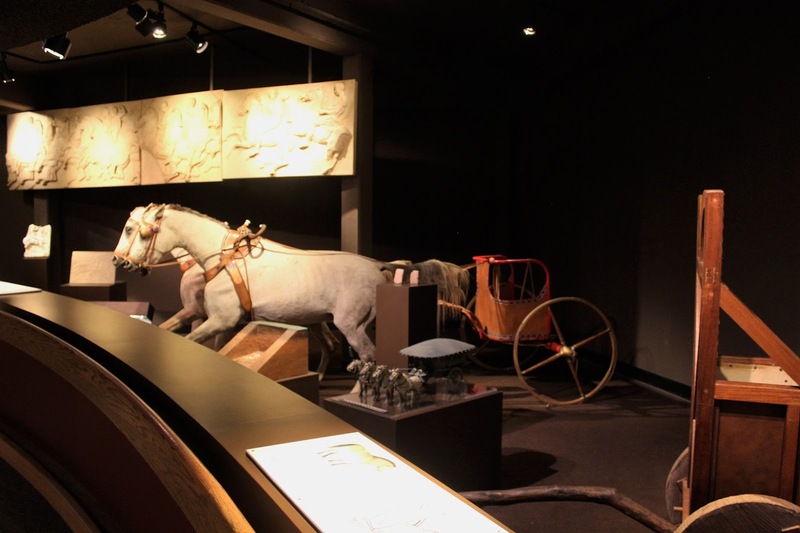 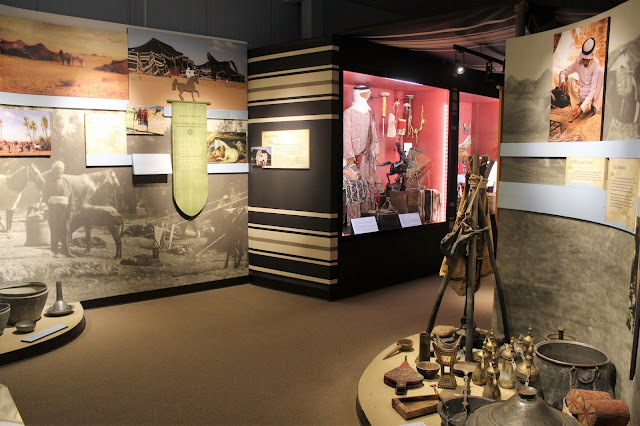 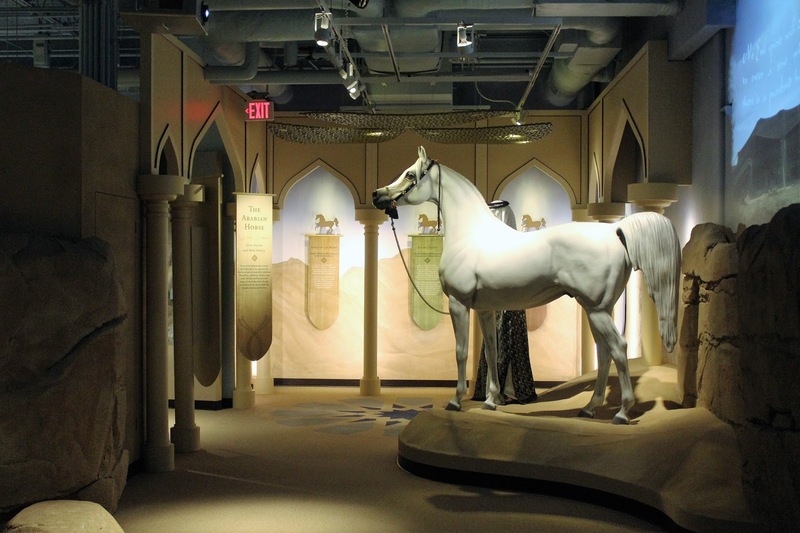 These include the International Museum of the Horse and galleries devoted to the Arabian horse. 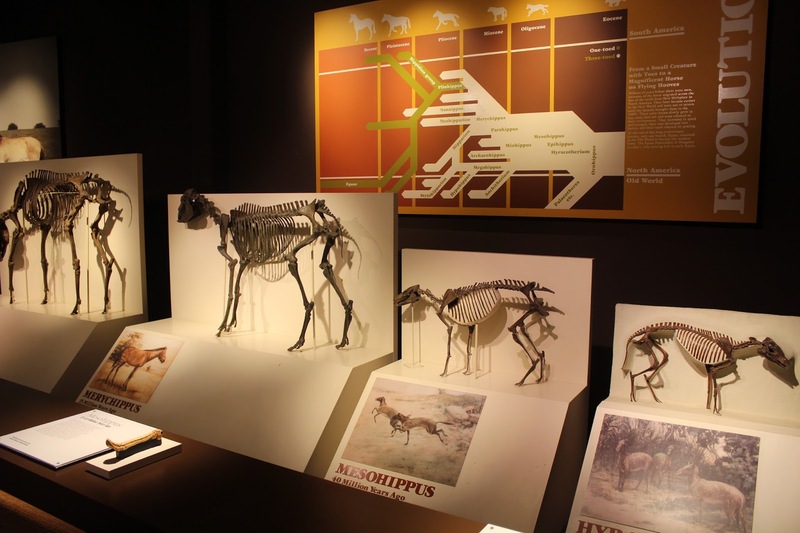 While the International Museum of the Horse covered many aspects, from evolution to how horses have been employed by humans, I was particularly taken with the section devoted to a single breed, the Arabian, as these must be considered among the most beautiful of all horses. Their introduction to the West and importance in the development of what was to become the Thoroughbred racing horse cannot be understated. 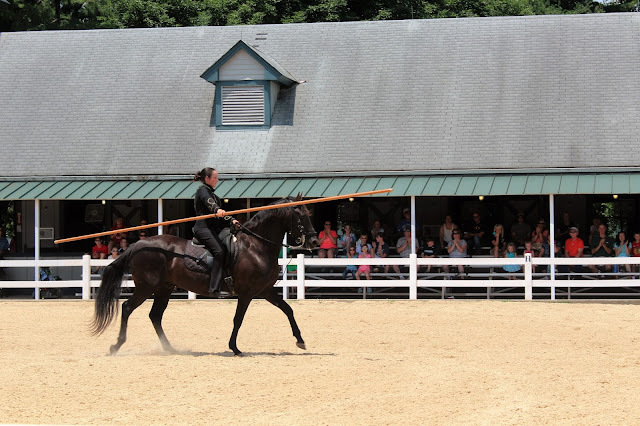 As interesting as these static displays are, they could not compare to the demonstration put on by the Park to showcase different breeds. 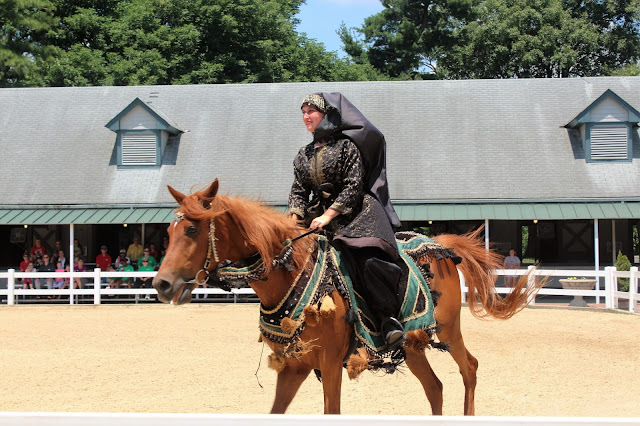 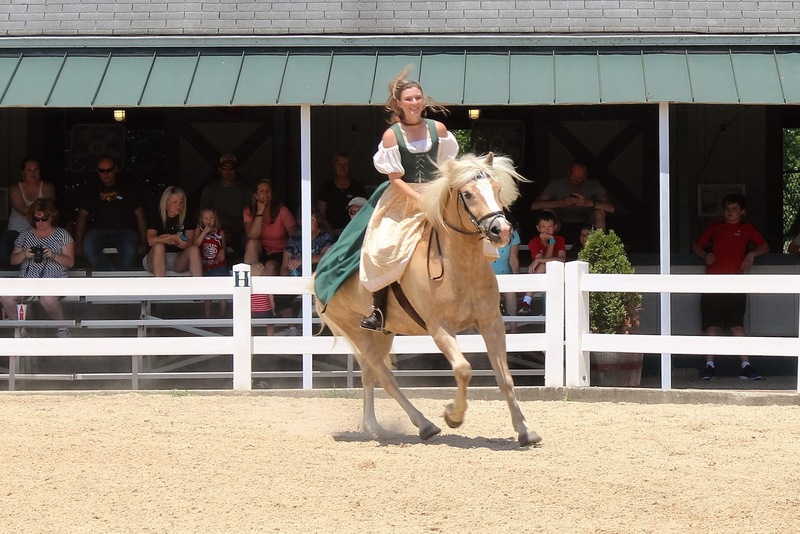 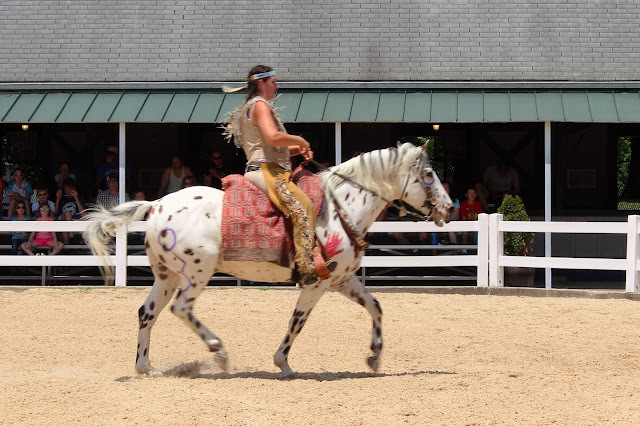 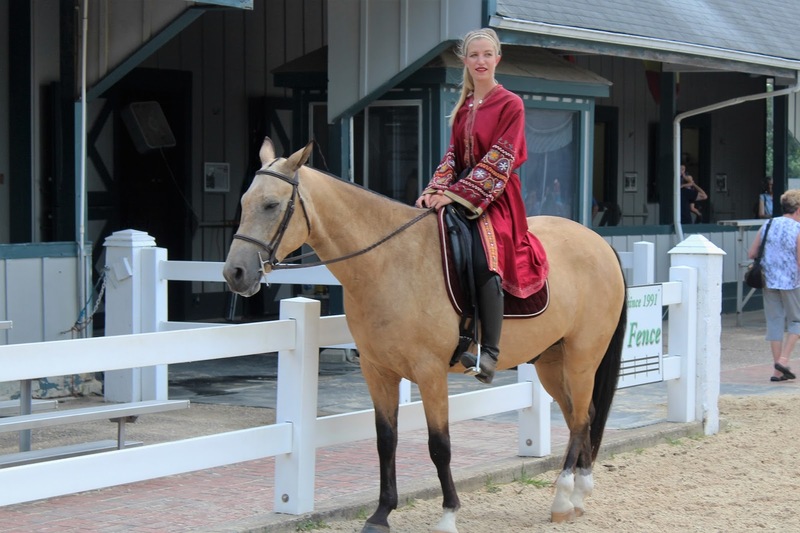 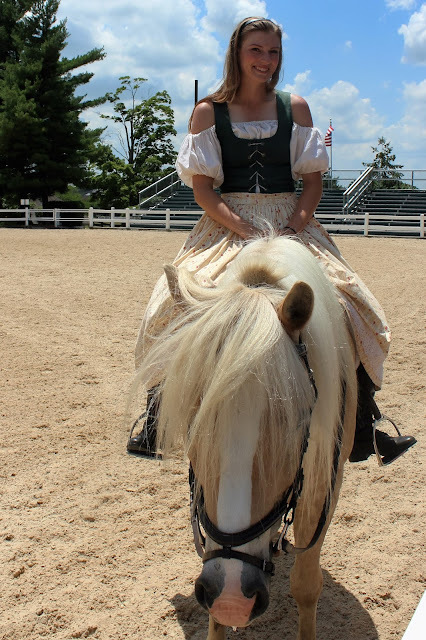 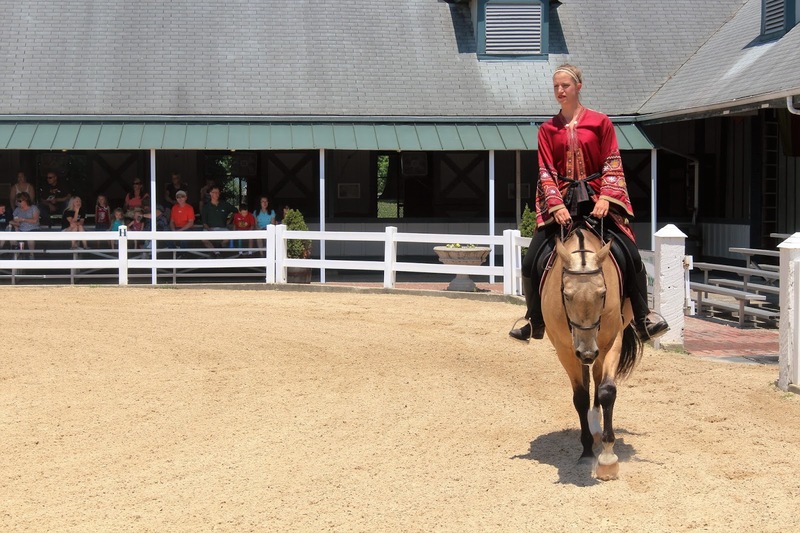 Young riders in costume participated in an impressive Parade of Breeds Show, which was most enjoyable in spite of the oppressive June Kentucky heat. 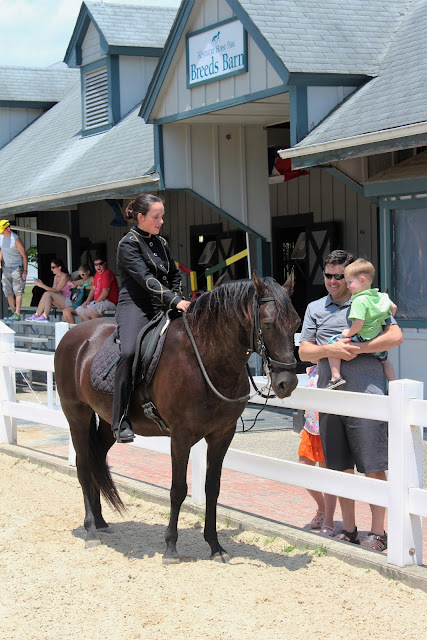 After the horse show, we looked into the barn which featured a number of other rare breeds for riding. 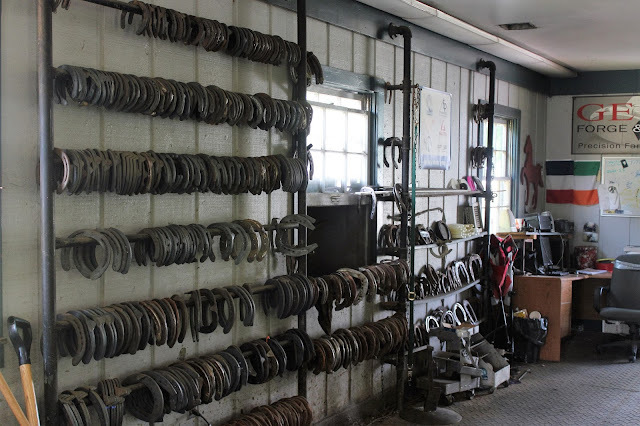 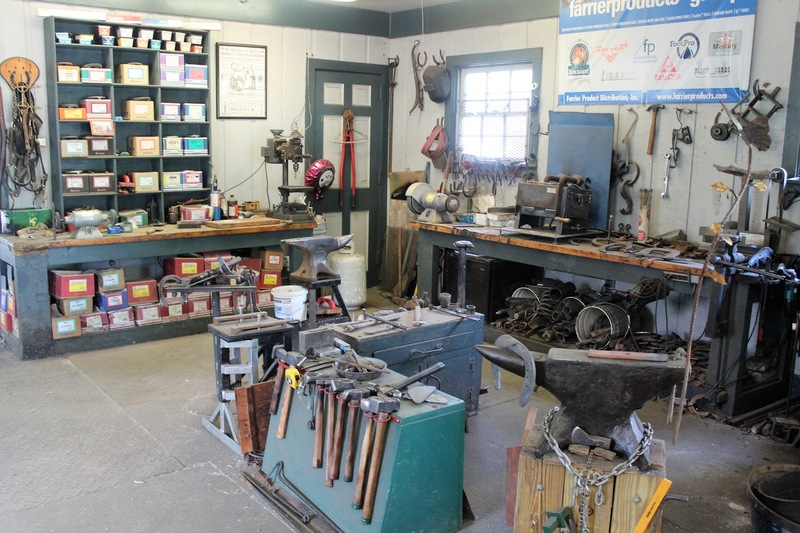 There was another barn which had draft horses as well as wagons and carriages, and there was a building featured items from the farrier's trade. 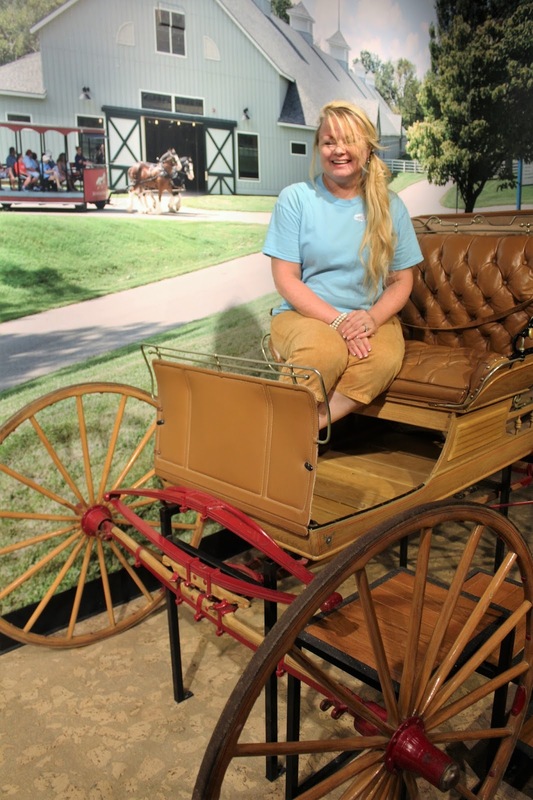 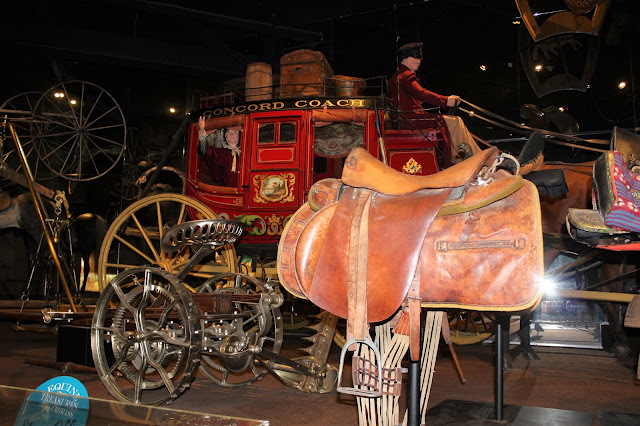 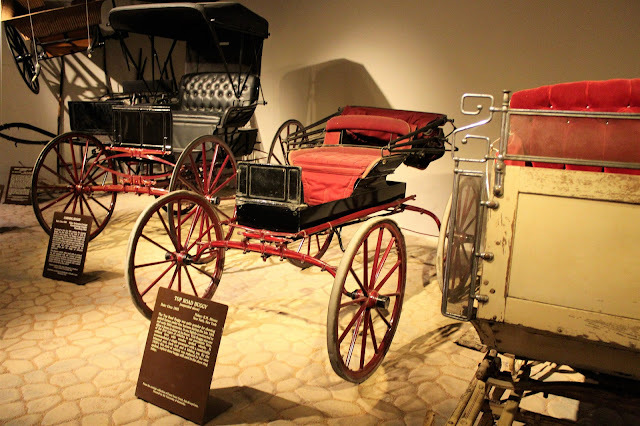 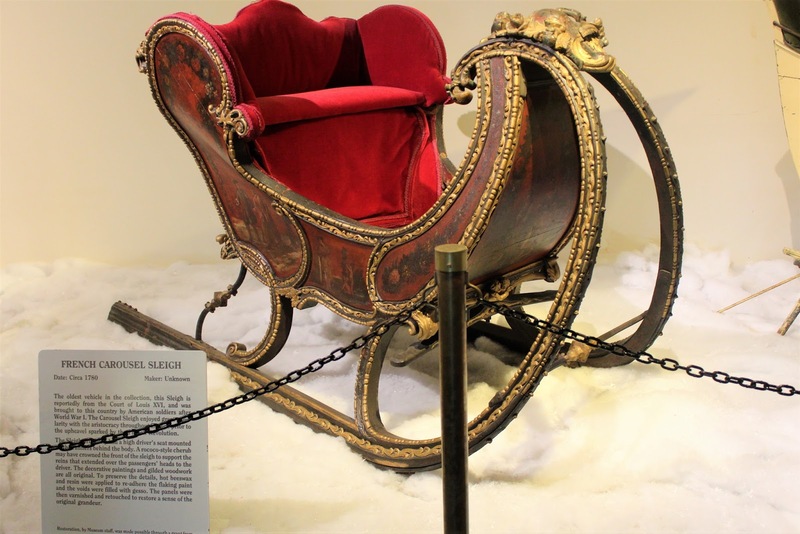 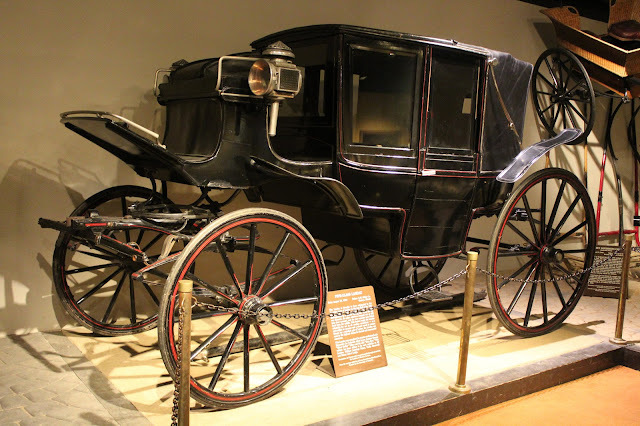 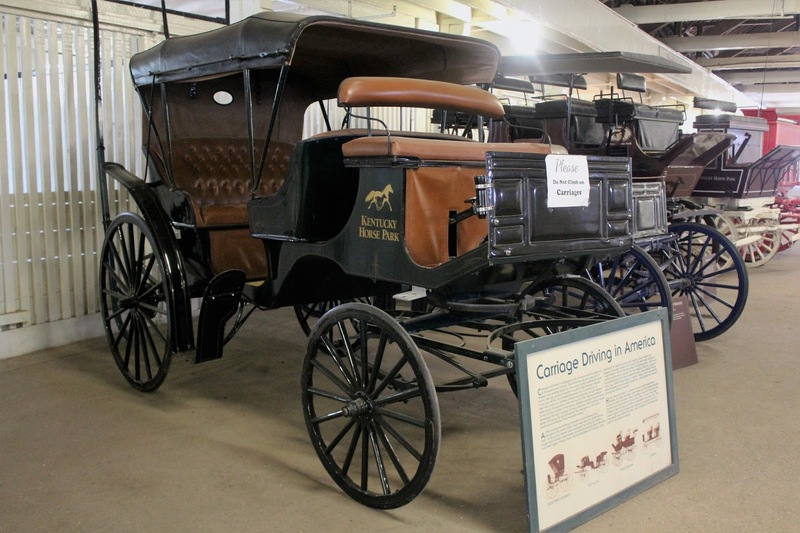 Also on display are some very fine carriages, including a Five Window Landau, and other horse-drawn vehicles. 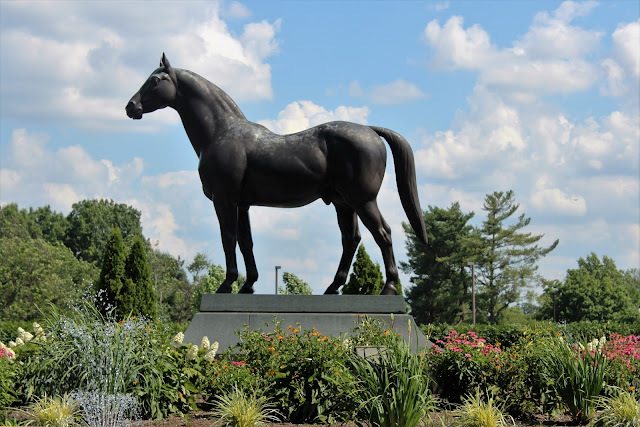 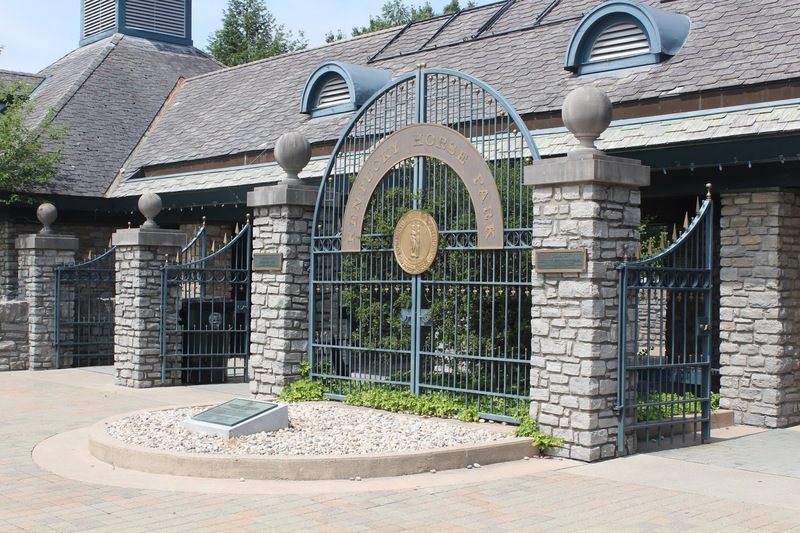 Walking through the extensive landscaped grounds, we soon came to the garden area where the legendary racehorse Man o'War is buried, along with several of his offspring, including War Admiral. 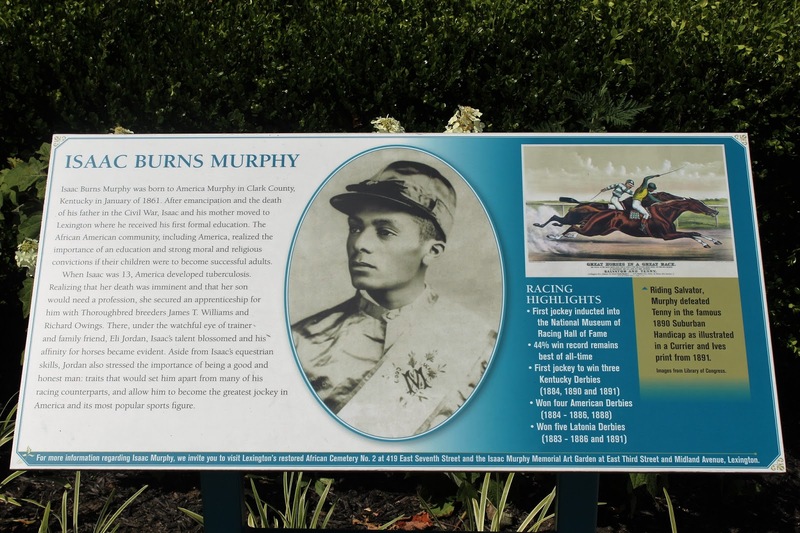 There is also a human grave: Isaac Burns Murphy, an African-American, is considered the greatest American jockey, winning, by his own reckoning, 44% of the races he rode in, including three victories at the Kentucky Derby. 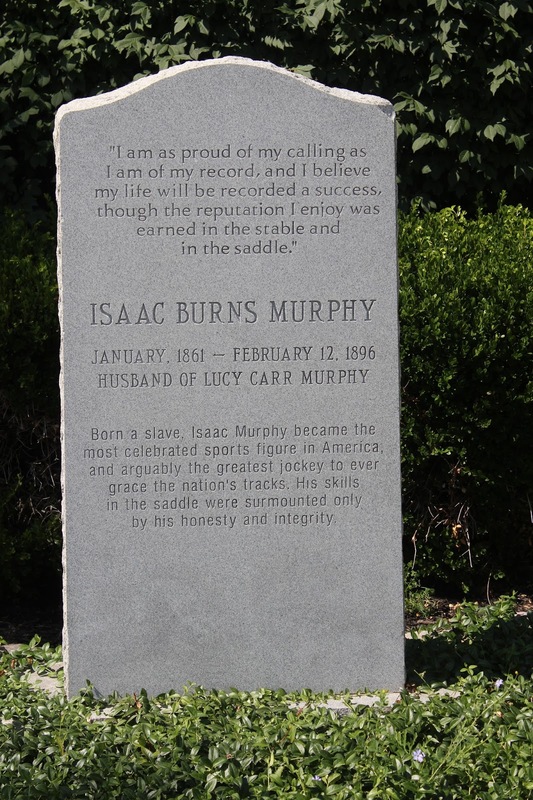 After dying of pneumonia at the age of 36 in 1896, his body was interred in a cemetery in Lexington and the grave forgotten. It was located again in 1967, at which point the body was exhumed and buried near Man o'War, then moved again when Man o'War's remains were moved to the park in 1978. We had a very enjoyable visit to the Kentucky Horse Park but now it was time to turn to our own horsepower. 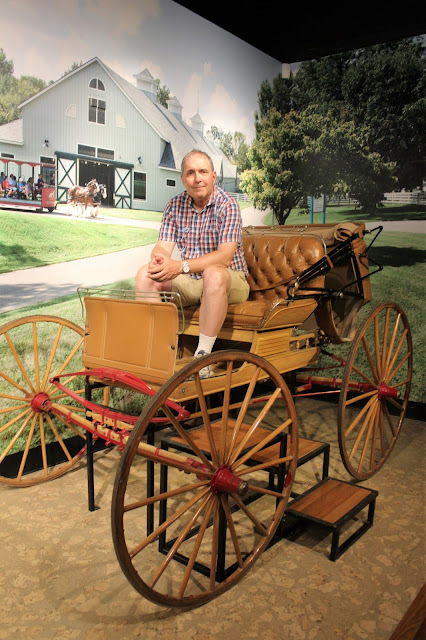 Taking the Corvette on the smooth back roads of Kentucky, we did the short drive to our overnight accommodation near Harrodsburg.